Manchester United have finally put a price tag on rumoured Arsenal target, Chris Smalling, as per reports. 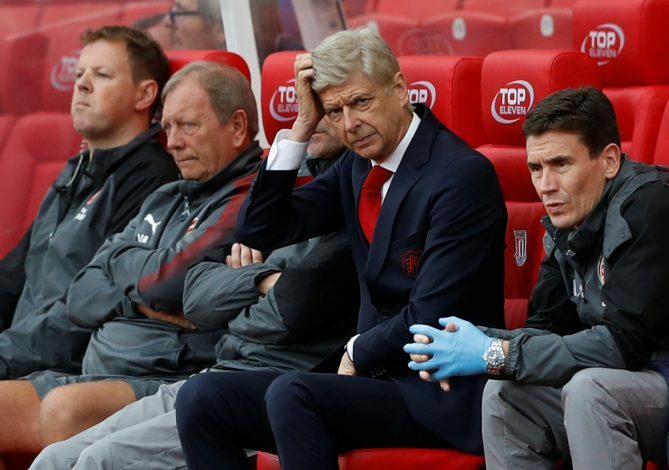 Arsenal boss Arsene Wenger is keen on adding defensive options to strengthen his rather weak back-line, and has identified the England international as a potential transfer target. As per the report by Daily Star, the Gunners have been handed a major boost in their pursuit of the 28-year-old, with the Red Devils having officially slapped a £25 million price for Smalling’s services. It was reported that United’s valuation of the out-of-favour defender was guided by the figure which was put forward by West Brom for their star man, Jonny Evans, when Arsenal had made an inquiry about his services in the January transfer window. And though Albion rejected Gunners’ £10 million bid for Evans last month, as they value him around £25 million, the Baggies could lose the former United man for just £3 million because of a clause in his contract, if they get relegated this season. However, for the time being, the interest in the 30-year-old centre-back has cooled off, and with Jose Mourinho keen on revamping his own defensive back-line, the Old Trafford outfit would be open for business once the transfer window re-opens after the 2017-18 campaign. While talking about his plans to strengthen his side’s back-line, Wenger said earlier this month: “Our defensive numbers aren’t good enough. Meanwhile, the Red Devils themselves have been linked with a move for Tottenham’s 28-year-old centre-back Toby Alderweireld, who has two years remaining on his current contract at Spurs.